Visible weather protection, all year-round. 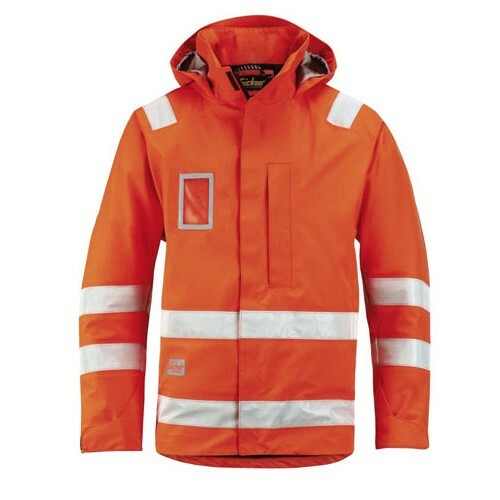 Waterproof and wind-proof high-visibility jacket that combines dry and ventilated comfort with built-in functionality and freedom of movement. EN 343, EN471, Class 3. Material: 100% Polyester fabric, 185 g/m², with membrane and sealed seams for wwaterproof, wind-proof and breathable protection. Mesh lining for added comfort.